Have trends finally gone too far? Coffee and creativity go hand in hand, and often with fantastic results. From the subtle flavour of turmeric lattes and the autumnally spiced pumpkin latte to the health-inspired bulletproof coffee with added butter, the coffee scene is constantly evolving with high street chains and independents always on the lookout for the next big trend in order to stay ahead of the competition. But have we finally hit peak coffee and gone too far? The latest trends popping up on Instagram are veg-based. Possibly tongue in cheek to create a bit of a buzz about the coffee or a particular establishment, we have recently seen the pairing of two hipster favourites in the ‘avo-latte’ – serving a coffee in the skin of an avocado. 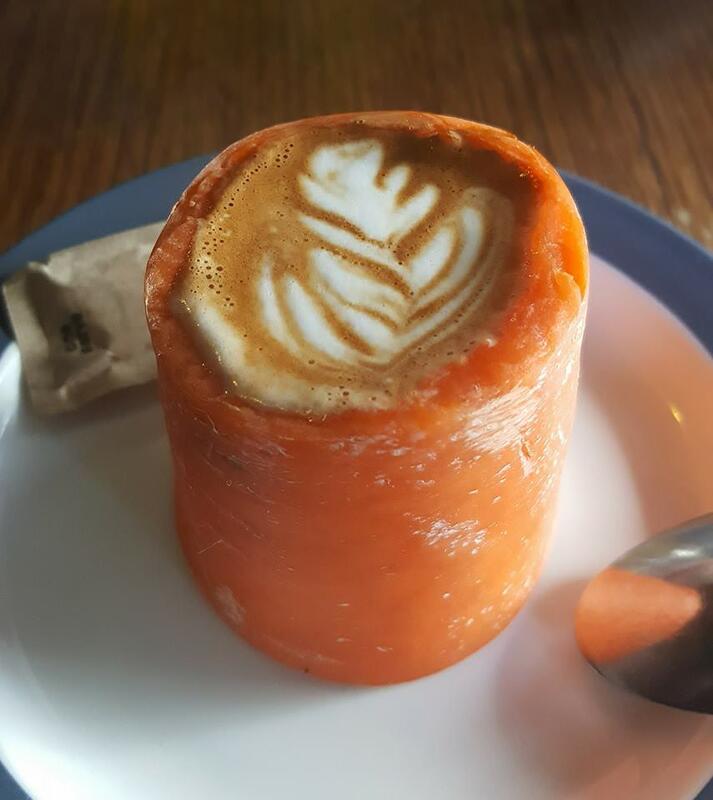 Now Locals Corner in Seaforth, Sydney, has posted a photo of its ‘carrot-cino’ – a piccolo-sized coffee served in a carrot. While this may add an extra dimension to a slice of carrot cake on the side, this may be an Australian trend that doesn’t catch on.